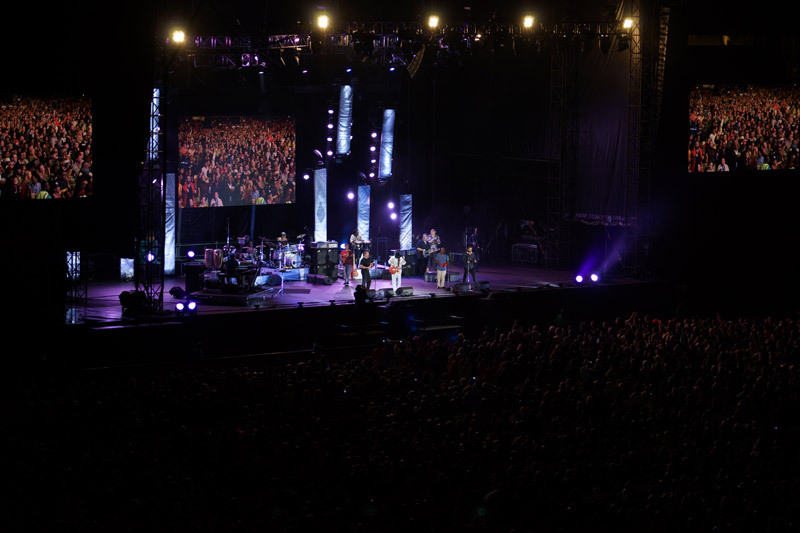 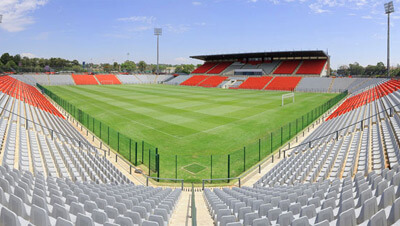 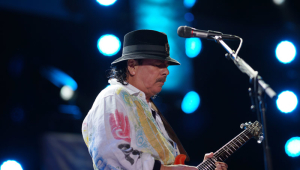 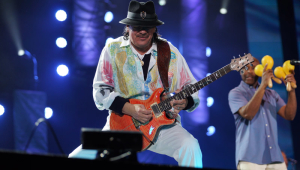 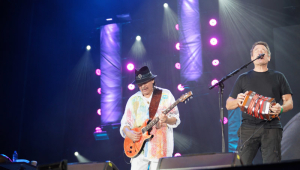 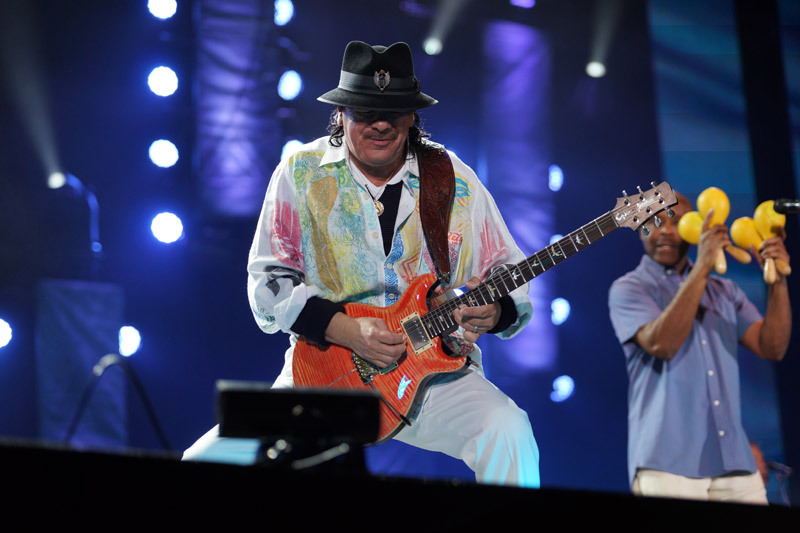 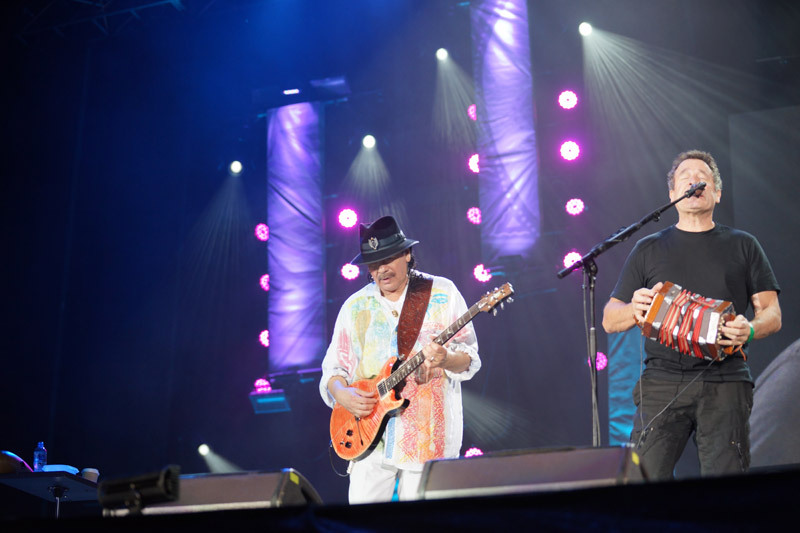 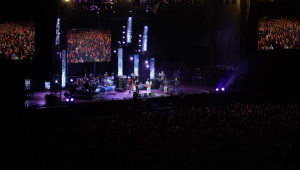 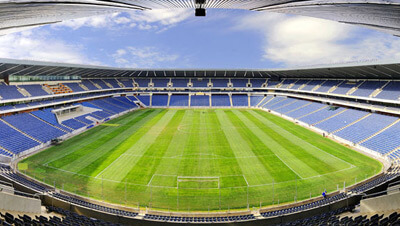 Santana performed at the FNB Stadium on Saturday 1st March 2014. 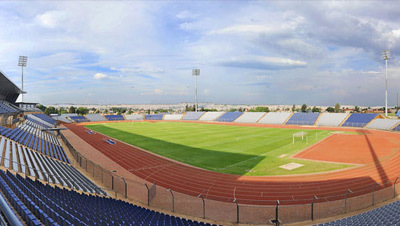 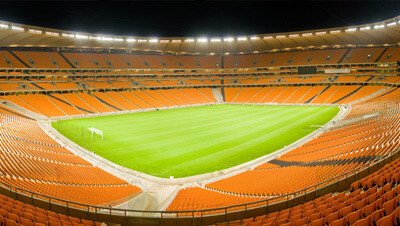 Presented by Big Concerts, 94.5KFM, 567CapeTalk, Talk Radio 702 and M-Net. 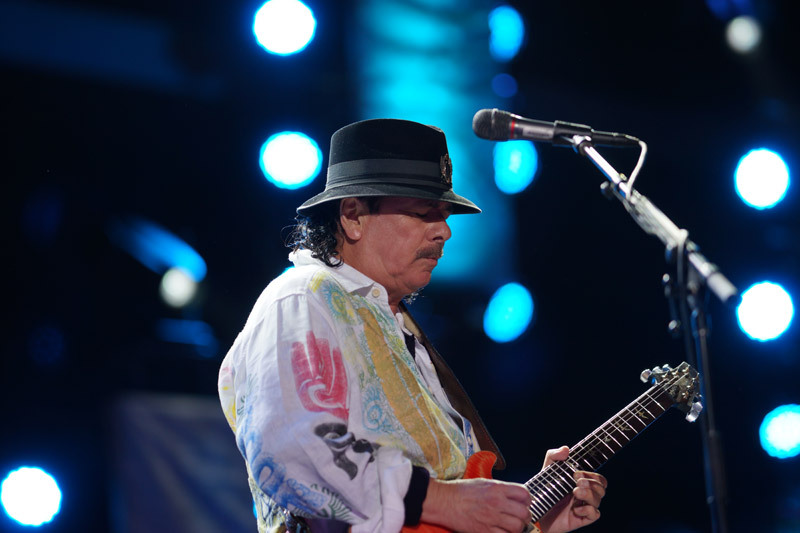 Carlos Santana, who first became famous in the late 1960s with his band Santana, pioneered a fusion of rock and Latin American music. 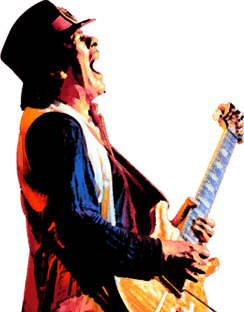 His first Top 10 hit “Evil Ways” stayed on the Billboard chart for two years and was soon followed by two more classics and Billboard number one albums: Abraxas (“Oye Como Va”, “Black Magic Woman”) and Santana III (“No One to Depend On”, “Everybody’s Everything”). 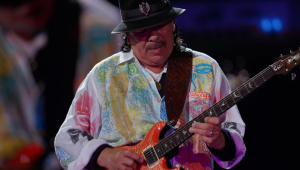 To date, Santana has won 10 Grammy Awards including a record-tying nine for a single project with 1999’s blockbuster Supernatural (“Smooth”, “Maria, Maria”, “Wishing It Was”), which featured many tracks co-written by guest stars such as Rob Thomas of Matchbox 20, Eric Clapton, Lauryn Hill and others. 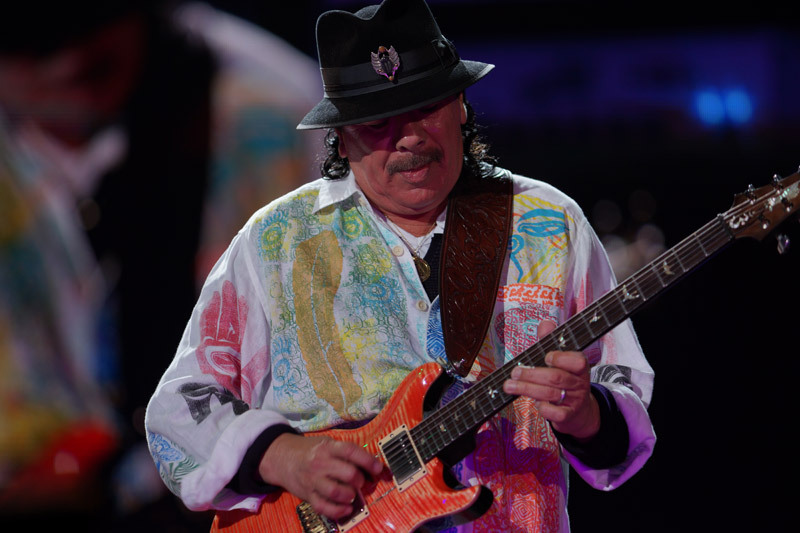 From his earliest days as a ground breaking Afro-Latin blues rock outfit to the mega chart-topping collaboration of Supernatural, the sound of Carlos Santana is one of the world’s best-known musical signatures.